Morning pick up from Muscat hotel and transfer to Amouage factory the birthplace of Oman Sultanate. Continue to Wahiba Sands where you will wander Sinaw & Mudaybi old mud houses with souq. Arrive to Wahiba Sands the wide mass of 200 meters high multi colored sand dunes, you will experience an amazing 4 WDS dune bashing. Pay a visit to Bedouin homes, listen to them talking about their values while savoring traditional Omani coffee and dates. Spend the night at the Bedouin style accommodation under the starry skies with an Arabic dinner meal and Overnight at Arabian Oryx Desert Camp. 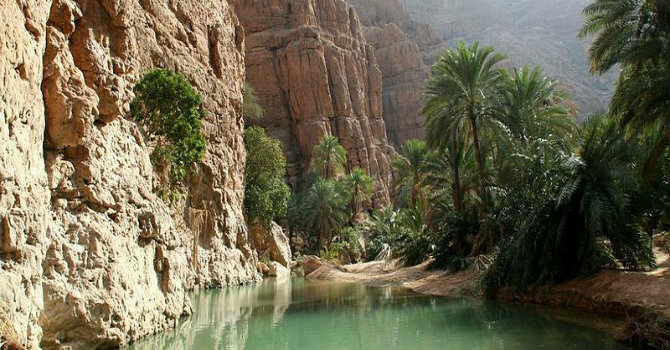 Breakfast at the camp then check out to visit Wadi Bani Khalid, it is a beautiful valley with deep blue water and palm trees. Lunch at local restaurant in the way to visit the fisherman's harbor at Sur then continue to Dhow " the Omani wooden boats" building yard. Arrive to your hotel to Check in, time for dinner an refreshing then 15 min walk to Ras Al Jinz where green turtles are nesting. Overnight at Carapace research Center while turtles can be seen late night or early morning. Breakfast in hotel then you will be picked up and drive to Muscat, photo stop at Bibi Miriam’s tomb, continue to beautiful clear pools of Wadi Shab then you will stop at Finns beaches, Bimah Sinkhole & Quriyat village before returning back to Muscat.